MTO Janitorial is the premier commercial cleaner for your Prescott medical facility.Medical offices, whether doctor, dental or labs deal with peoples' health and well-being. These are not spray and wipe surroundings and shouldn't be cleaned as though they were. It's important to clean for 'health'. What's involved in keeping your Prescott medical facility clean? Raising the standards of commercial cleaning is what MTO Janitorial does, and they take the time to do the job right. As professionals, MTO Janitorial seeks to raise the standards of commercial cleaning by factoring in all of the risks associated in medical offices and thoroughly addressing them. MTO Janitorial doesn't just clean for appearance, but for safety as we consider each and every facility's different needs and uses. roper tools may cost a little bit more upfront but professional cleaners, well-trained to properly use them, make their value and need obvious. And proper cleaning solutions or disinfectants that require time to be allowed to 'dwell' to eliminate bacteria are part of an excellent commercial cleaner's bank of knowledge. 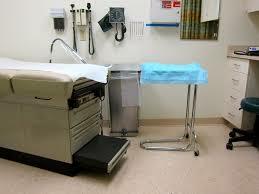 Whether the facility be a dentist, medical, pediatrician, oncologist office or lab, each one has its special needs. And commercial cleaners must be equipped with the right kinds of tools and solutions with broad-spectrum bacterial and viral kill rates to be effective no matter what type of office it is. A professional commercial cleaner will know that some cleaners may be effectively applied across a number of surfaces in various facilities including exam rooms, exam tables and chairs, sinks and countertops, and cabinets. These are just some of the ways that MTO Janitorial makes sure your Prescott medical offices and facilities don't just appear clean but truly are clean. If you're looking for a commercial cleaner for your Prescott medical facility, call us today at 928-772-0004.